Van's Views - Hair, Beauty, Nails & Lifestyle Blog: Dermalogica keeps delivering! 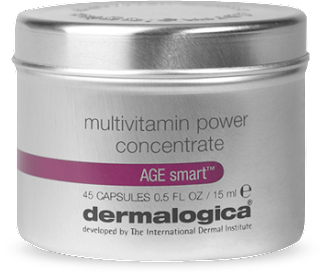 I`ve long been an advocate of Dermalogica (been using their range now for about 8 years) and its the primary skincare line that I stock in OMG. Yes I love all things girly, the more pretty, fussy, quirky the better! I`m a sucker for anything with flowers, bows and sparkle!! But theres something very grounding and reassuring about Dermalogicas no fuss packaging. In my experience, I have only found their products to deliver results, every single time. So its no suprise that they picked up two awards in the UK Beauty Awards 2010. Best New Skincare Product C-12 Concentrate, the outright winner of the Best New Skincare Product, is a silky-rich, high potency treatment which brightens, minimises discolouration and improves skin clarity. I used this on a pesky pigmentation patch above my eye that randomly appeared last year and its gone now! Best New Men’s Grooming Product Invigorating Shave Gel. Described by the judges as the “perfect product”, Invigorating Shave Gel is a multi-use, oil-free shaving aid that infuses skin with antioxidants, helps delay the signs of ageing and gives a “barber-close” shave. I used the hubbie as a guinea pig and he loved it! But for me, theres another hero product I wanted to share with you. The multivitamin power concentrate capsules. Its recently won the best Luxury Anti-Ageing Product as voted by Stylist readers. It comes in a handy tin and accompanied by a teenier travel tin too! The capsules are silver fish shaped, that you just twist and squeeze. Pure, concentrated vitamins A, C and E helps reverse the signs of premature aging while defending against future free radical damage. Every January I treat my skin to a course of these capsules, just popping on my skin each night before I put my moisturiser on. And it genuinely improves my skin. I`m not sure if I like the title of the award "luxury" as that implies expensive. But for £40 for a months supply of capsules, with the results it brings, I think thats good value. OMG is three years old!! !